When it comes to attaining your ideal body, diet and exercise are always a first-line strategy. But when clean eating and physical activity fail to take care of stubborn bulges, you may need to take a different approach. 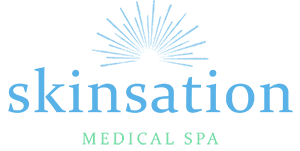 At Skinsation Medical Spa in Goodlettsville, Tennessee, Dr. Nadja Colon provides minimally-invasive liposuction surgery to help patients in the Nashville area get the body they’ve always wanted. To learn more, call the office or book your appointment online today. Liposuction is a cosmetic surgical procedure that allows you to sculpt your body by getting rid of pockets of diet- and exercise-resistant fat. Although there are a variety of liposuction techniques, all forms of the surgery use suction to remove unwanted fat. Although liposuction can take care of persistent fat in these areas, the procedure does not remove cellulite and cannot tighten loose skin. For patients with cellulite, loose skin, or skin flaws, liposuction is often combined with other procedures in an overall treatment plan that’s designed to help patients achieve the best possible results. Which liposuction procedures are available? Power-assisted liposuction, or the PAL® System from MicroAire®, is a liposuction cannula that has its own small motor. The motor gives the cannula a reciprocating motion that makes the surgery more precise and easier to perform. Power-assisted lipo is designed for small- or large-volume fat extraction as well as artistic body contouring. VASERlipo® uses minimally-invasive ultrasound technology to target unwanted fat while offering maximum protection for other components of the affected tissue matrix. Just as effective as traditional lipo, ultrasound lipo helps ensure minimal damage to nerves, blood vessels, and connective tissues. The body-jet® water-assisted liposuction system uses a slightly pressurized stream of saline to gently dislodge and remove fat cells. This minimally-invasive procedure is less forceful than traditional liposuction methods, resulting in less trauma to surrounding tissues, less bruising and swelling afterward, and a shorter recovery time. Liposuction is an excellent option for people who have stubborn pockets of fat that don’t respond to diet and exercise. If you have areas of fat that seem disproportionate with the rest of your body, liposuction can be an ideal solution.